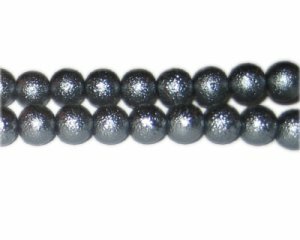 These are 10mm Charcoal Rustic Glass Pearl Bead, approx. 23 beads on an 8" string. Can't beat the service, quality, and prices.